White Fiber Optic 15 Inch Wand with Multi Color Changing LEDs and Strobe. Show off your company name in bright colors on a white but certainly not plain background. 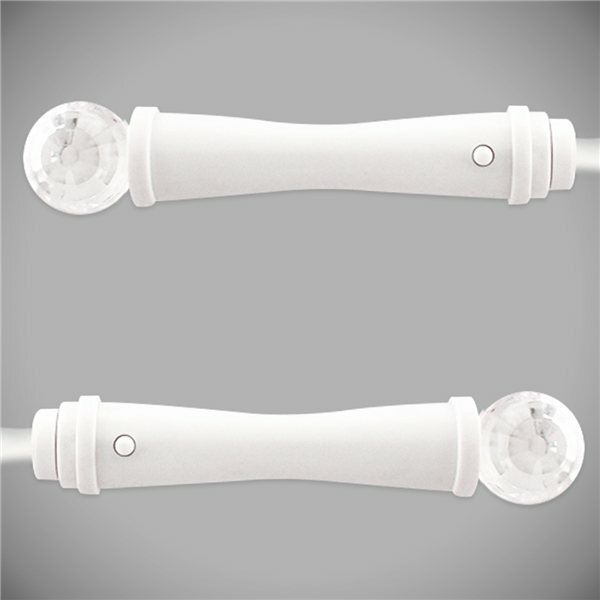 Our all white plastic 15" White Fiber Optic Wand with Strobe is sure to dazzle! Not only does this powerful little wand light up nearly 9" of fiber optics but at the end of it's 5" handle it features a 1" strobe that ALSO lights up! Choose from a variety of color options, Brighter Promotions is known for, with a click of the button.